Why Did Nehor Suffer an “Ignominious” Death? The execution of Nehor. Image via lds.org. Theologically, Nehor preached a version of universalism. He declared, “All mankind should be saved at the last day, and that they need not fear nor tremble, but that they might lift up their heads and rejoice; for the Lord had created all men, and had also redeemed all men; and, in the end, all men should have eternal life” (v. 4). Nehor’s teachings caught on among the Nephites, and soon his followers “began to establish a church after the manner of his preaching” (v. 6). Nehor, however, went a step further than mere religious dissent. When confronted by Gideon, the apostate Nephite did “contend with him sharply” over doctrine (v. 7). The argument escalated to the point where Nehor “drew his sword and began to smite him. Now Gideon being stricken with many years, therefore he was not able to withstand his blows, therefore he was slain by the sword” (v. 9). What began as religious and cultural dissent turned into outright homicide. This of course led Nehor to stand before the chief judge Alma, to plead his defense (v. 11). Nehor’s defense failed, and Alma condemned him to die, as he was “not only guilty of priestcraft," but had "endeavored to enforce it by the sword." Alma reasons, "Were priestcraft to be enforced among this people it would prove their entire destruction” (v. 12). A number of factors, according to Welch, contributed to Nehor ultimately being given an “ignominious death.” These include the recent social reforms of Mosiah and the establishment of the Nephite judgeship at the end of the book of Mosiah, all of which Nehor sought to undermine with violence. Nehor’s trial, therefore, was not a mere triviality. 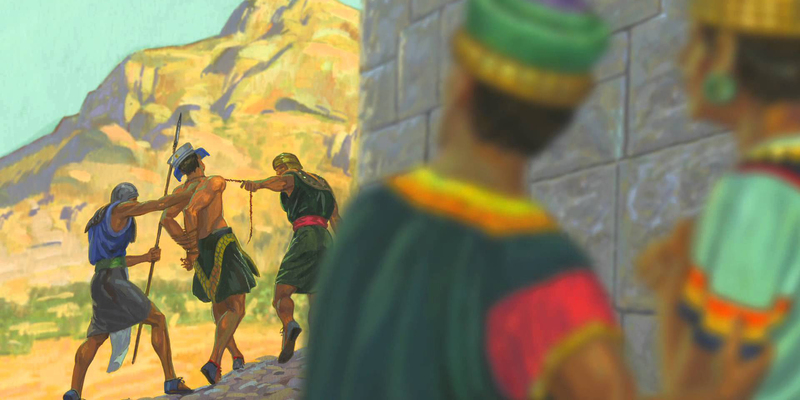 That Mormon would say that Nehor’s death was “ignominious” shows the prophet-historian’s complete disdain for one of the Nephites’ worst dissenters.9 Indeed, Nehor’s schismatic teachings would lead to further conflict and bloodshed in Nephite history, most notably with the rise of the Amlicites (Alma 2–3). From the perspective of Nephite law, then, and through Mormon’s moralizing narrative, that Nehor’s death was “ignominious” is understandable. That his ignominious teachings, which did not die with him, would later affect so many lives for the worst is just one of many tragedies in the Book of Mormon. John W. Welch, The Legal Cases in the Book of Mormon (Provo, UT: Brigham Young University Press and the Neal A. Maxwell Institute for Religious Scholarship, 2008), 211–235. Brant A. Gardner, Second Witness: Analytical and Contextual Commentary on the Book of Mormon, 6 vols. (Salt Lake City, UT: Greg Kofford Books, 2007), 4:18–40. Matthew Scott Stenson, “Answering for His Order: Alma’s Clash with the Nehors,” BYU Studies Quarterly, forthcoming. 1. Nephite apostasy involved more than just religious dissention, as explained by Mark Alan Wright and Brant A. Gardner. “Why was a religious apostasy so socially disruptive? The splintering of the restored church after the Prophet Joseph Smith’s martyrdom certainly resulted in different religious bodies, but not in civil war. The difference is explained by the ability of the modern world to separate religion from politics and culture. For the Nephites, religious apostasy included an alteration of the social order. When the pressures for the new type of king became strong enough, the matter was not only religious and political—it also included a desire to transform society. As the apostate religion syncretized religious ideas, its adherents longed for the social prestige, wealth, and privilege associated with those religious ideas in surrounding cities and cultures.” Mark Alan Wright and Brant A. Gardner, “The Cultural Context of Nephite Apostasy,” Interpreter: A Journal of Mormon Scripture 1 (2012): 53–54. 2. Webster’s 1828 dictionary defines “popular” as “pertaining to the common people.” As such, Nehor wanting to make priests “popular” should be understood as meaning he wanted them “to be supported [financially] by the people,” and not necessarily in the colloquial sense that he wanted them to be regarded with favor or adoration. This explains why Nehor’s teachings were dangerous, as he was attempting to subvert Nephite egalitarian ideals reaching back to king Benjamin, who himself labored for his livelihood (Mosiah 2:14–15). 4. John W. Welch, The Legal Cases in the Book of Mormon (Provo, UT: Brigham Young University Press and the Neal A. Maxwell Institute for Religious Scholarship, 2008), 211–235. 5. Welch, The Legal Cases in the Book of Mormon, 220, internal scripture citations removed. 6. The place of Nehor’s death is significant. As explained by Welch, “The top of a hill or mountain served as a meeting ground between heaven and earth, between God and man. There Nehor’s confession could be made binding both in heaven and on earth, both for his own eternal benefit and for the sake of the city of Zarahemla. In a sense, the hilltop, representing a cosmic mountaintop, was also a no-man’s-land, between sky and earth, where neither the heaven above nor the earth below needs to receive the vile offender.” Welch, Legal Cases, 231. 7. Brant A. Gardner, Second Witness: Analytical and Contextual Commentary on the Book of Mormon, 6 vols. (Salt Lake City, UT: Greg Kofford Books, 2007), 4:30. 8. Gardner, Second Witness, 4:30; Welch, Legal Cases, 231–232. 9. This is reinforced by the fact that Mormon doesn’t even bother to mention Nehor by name in Alma 1 until his execution.